It’s time again for another tutorial but this one will be another long tutorial so I will break it up into two. Part 2 will be posted tomorrow. You’ve probably seen these types of orbs around the web and now you have the chance to make your own stylish vector orb. 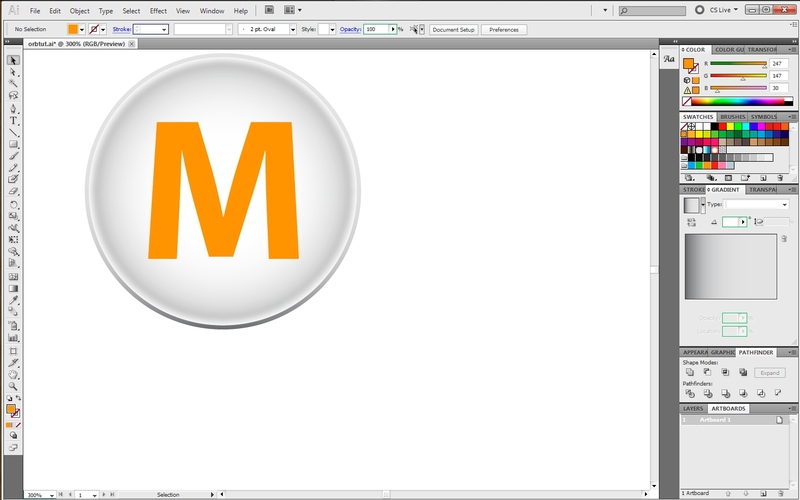 About: In this tutorial, I’ll help you create a stylish vectored orb with highlights, shadows, blurs, and masks. 1. A. 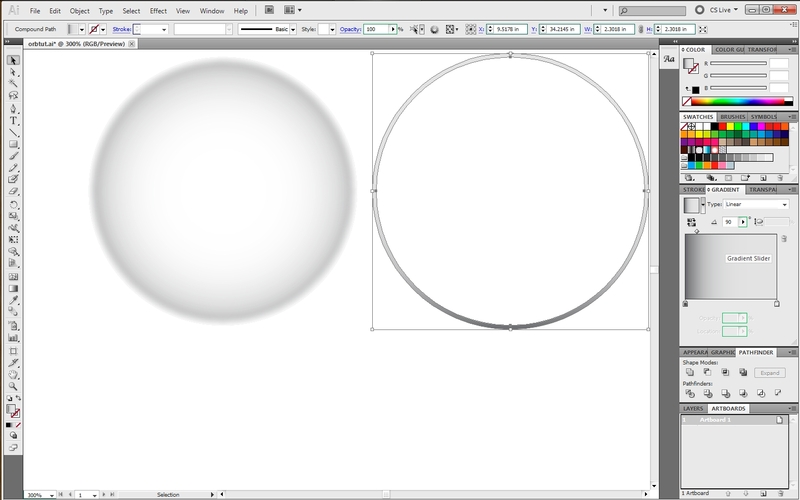 Draw a perfect circle using the ellipse tool and holding shift to constrain its proportions and give it a radial gradient where the inside is white and the outside is black/gray. B. Give this circle an opacity of 50 %. 2. A. Add an inner glow effect by going to Effect>Stylize>Inner Glow. B. A window should pop up; choose white for the fill, choose screen for the mode, make the opacity 75 %, make the blur .007, and choose the edge option. 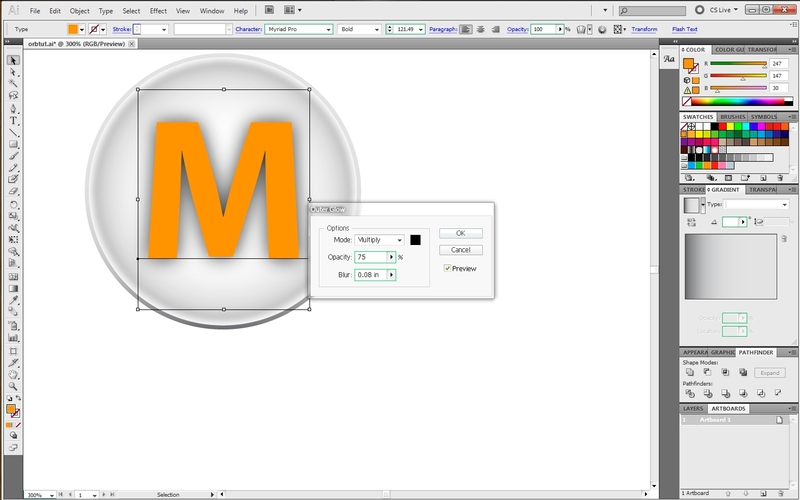 C. Add another glow effect using the same process and you won’t need to enter the values again since the settings will be saved until you change them. 3. A. 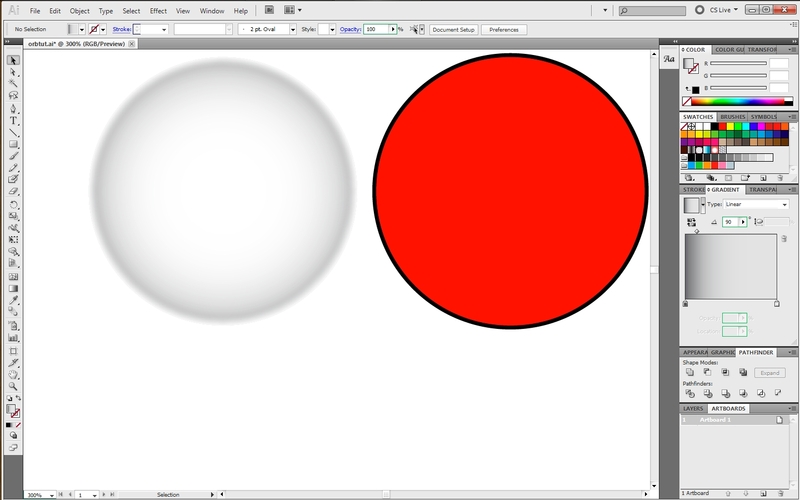 Copy a circle of the same size as our orb and make another circle slightly bigger than it, also making sure that it is behind it and that they each have different colors. B. 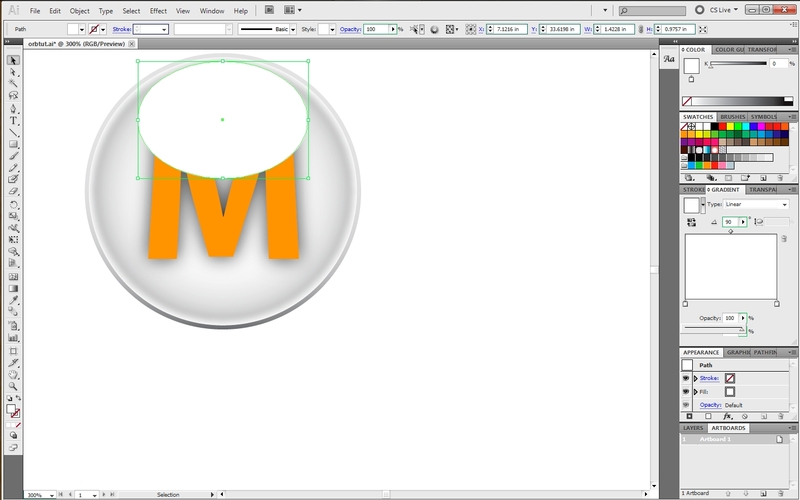 Use the Shape Builder tool (Shift+M, hold option to subtract parts) or use pathfinder to cut out the inner circle. C. Now with this shape, give it nice linear gradient that goes from black to white upward (90°). D. Move this object back onto our orb. 4. A. Use the type tool to create some text. 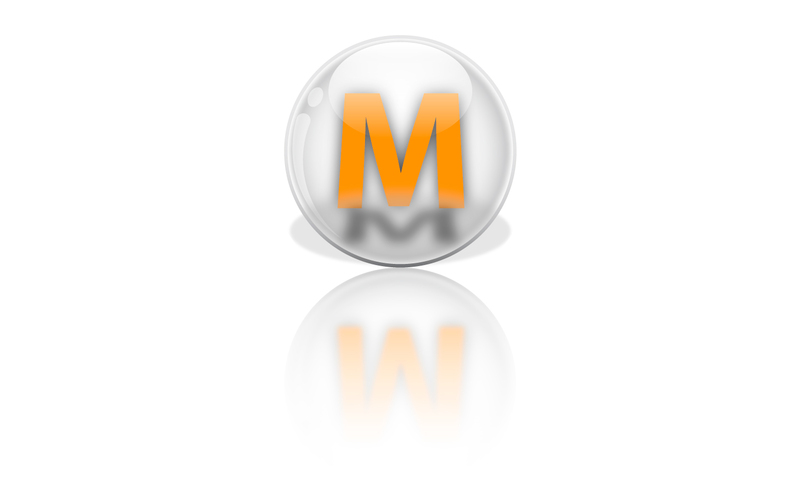 I wrote M in respect to the Mac Lab logo but feel free to write some short text (initials maybe). B. 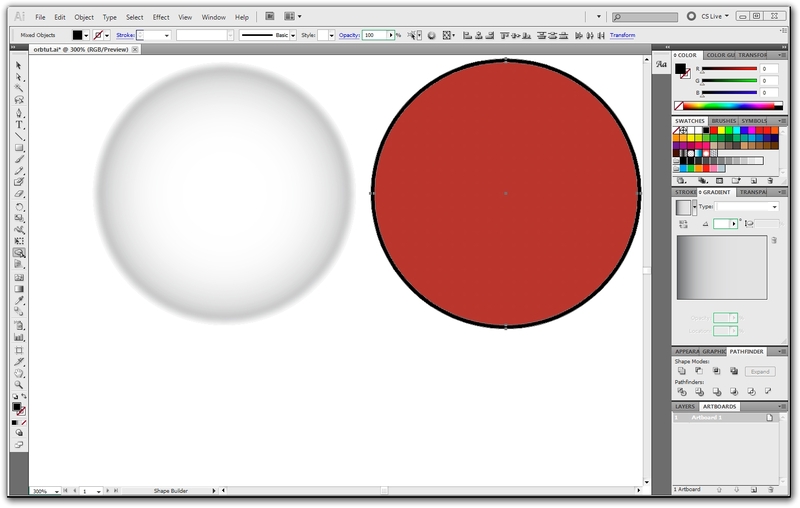 Apply an Outer Glow by going to Effect>Stylize>Outer Glow. 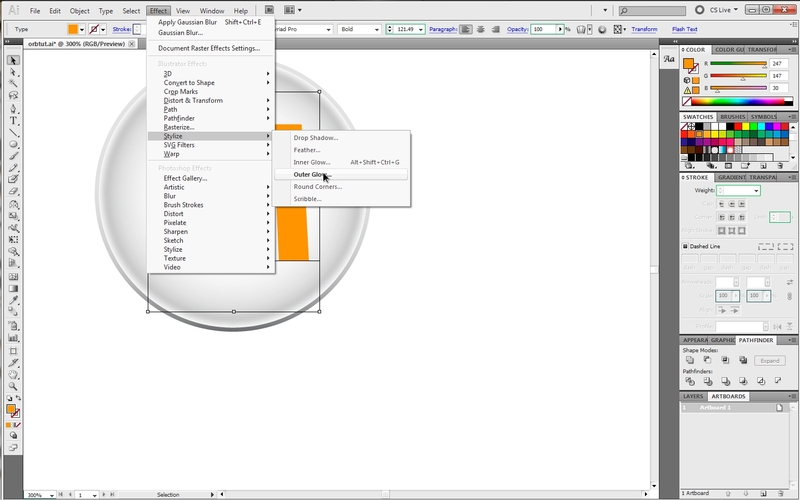 C. A window will show up; set the fill to black, set the mode to multiply, set the opacity to 75%, and the blur to .08. 5. A. 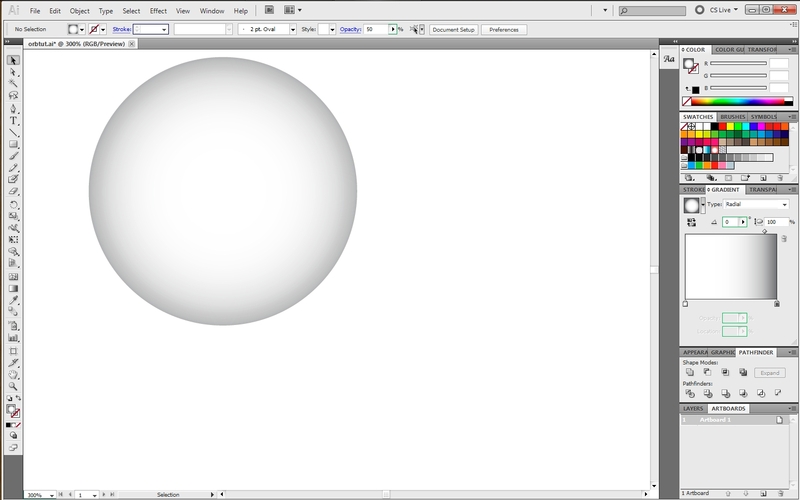 Draw a white oval near the top of our orb. B. Apply a gradient where it fades to white downwards. 6. A. 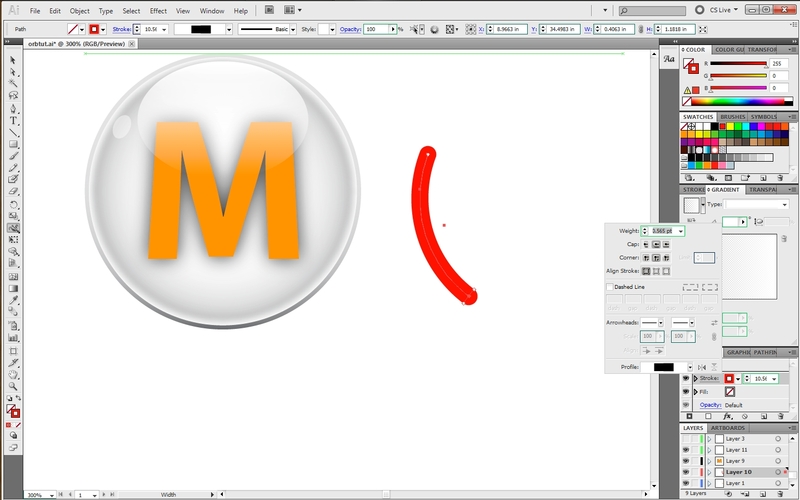 Draw another white oval near the bigger one so it’s adjacent to it. B. 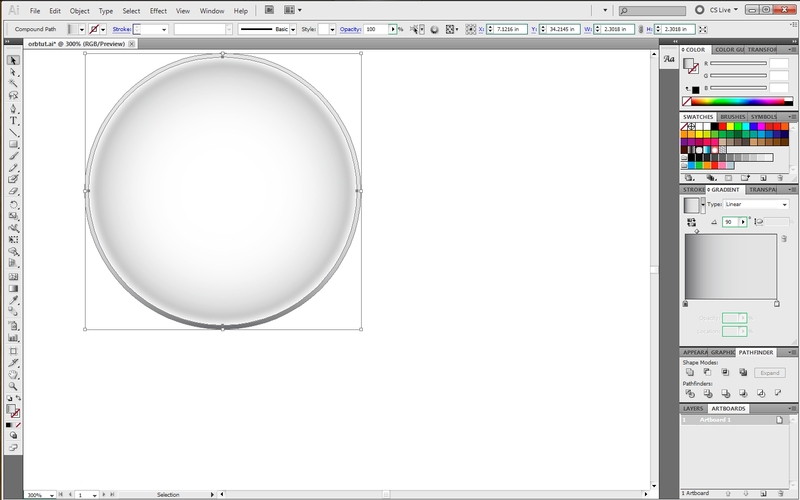 Set the small oval’s opacity to 50%. 7. A. Draw a short arc segment with a .565 stroke or any stroke that is about the same width of the small oval and make it have a round cap. B. 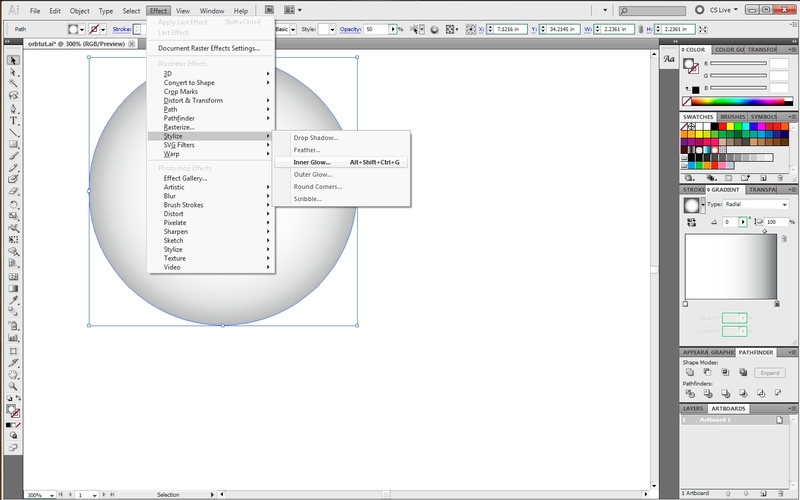 Use the Width Tool (Shift+W) to shorten one end to a point by dragging the endpoint’s width anchors inward. C. Move this curve onto the orb and give a white stroke. D. Give this curve a 50% stroke. 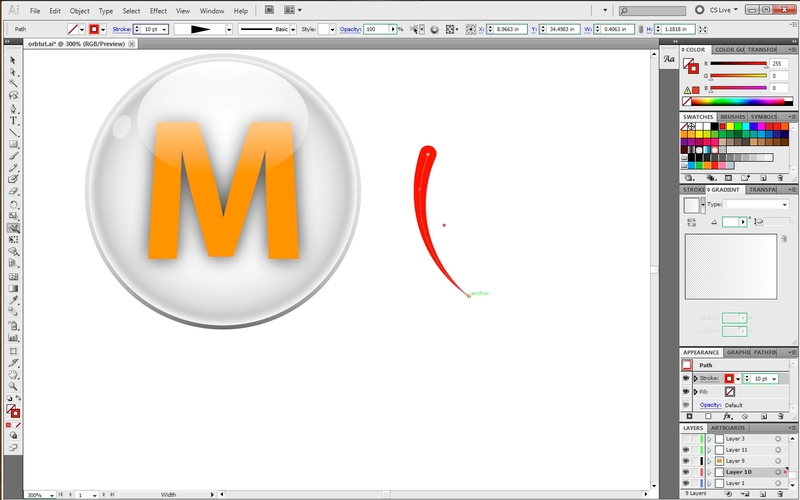 Note: If lacking the Width Tool, just draw the shape as best as you can. This is the end of Part 1. Part 2 will finish off by giving it shadows and reflections. Click here for Part 2.